Does anybody have some down views of the Steam Generator stacks on the D&H's RS-2 and RS-3s? They are needed for a modeling project. These two websites have lots of pictures of D&H RS2s and 3s. It's hard to find overhead shots but there are pictures of the no.2 end to get an idea. D&H in Color Volume 1 and Trackside in the Albany, NY Gateway (both Morning Sun Books) have some decent pictures. What are era you modeling? The boiler equipped RS2s, as delivered, had the stack centered on the rear hood, right up against the cab. The housings were tapered or slanted into the roof of the hood. This was common at least among eastern roads. 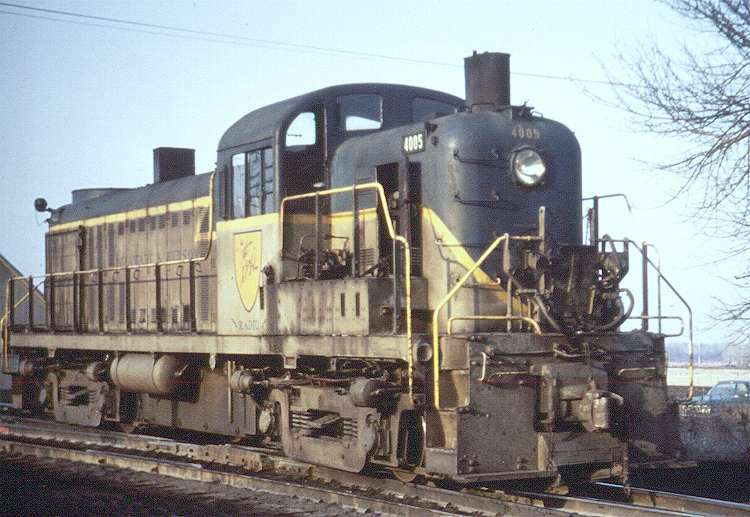 The NY Central's and the New Haven's RS2s had the stacks in the same location. I have heard that the RS2s were preferred for passenger power because the fuel tanks were below the cab. This is likely why the batteries were moved too. This gave room for larger water tanks.